Fiber-cement siding stormed onto the scene a few decades ago and revolutionized the house siding business because it possesses the best of many worlds. It offers the look of authentic wood shiplap siding, even with lookalike textured wood grain. Unlike wood, it is fire resistant. Unlike vinyl siding, it can be painted. Unlike fire resistant asbestos-cement siding, it has not been linked to mesothelioma. Fiber-cement siding, while not inexpensive, is a high resale value siding choice that offers equally high aesthetic appeal. While more fiber-cement siding manufacturers have popped up in recent years, unlike other home-related materials such as flooring or tile fiber-cement is not a market that lends itself to small- or even medium-scale manufacturers. You will not find a tiny start-up producing fiber-cement siding in your local light-industrial park. Rather, fiber-cement siding production is a large-scale, energy-intensive process that requires large space and companies with sufficient capital to construct multi-million dollar factories often located overseas. As a result, the fiber-cement siding playing field is small and competition is limited. Still, a few of the best fiber-cement brands and manufacturers can be singled out for the quality of their products and their attention to customers' needs. Known mainly as a roofing supplies company, GAF is laser-focused on one particular angle on the fiber-cement siding business. This angle, all under their general WeatherSide brand umbrella, is fiber-cement siding shingles. Shiplap profile siding is so popular that GAF has much of the shingle market to itself. WeatherSide's sub-brands, Purity, Profile, and Emphasis offer homeowners the chance for a one-for-one swap for asbestos-cement siding shingles. Because WeatherSide is easily available at Home Depot and other home centers, homeowners do not need to order through a contractor or architect. In fact, a number of types of WeatherSide fiber-cement shingles are usually in stock at Home Depot. In addition to repairs, WeatherSide fiber-cement shingles work well for siding small structures such as room bump-outs, sheds, or detached workshops. GAF WeatherSide products are 100-percent made in the United States. Few discussions about fiber-cement siding are complete without mention of James Hardie Industries. James Hardie's HardiePlank has become synonymous with fiber-cement siding, in much the same way that the brand name Kleenex has come to refer to tissues. The dominance of HardiePlank is due, in no small part, to the fact that James Hardie has not diversified into other materials. It does nothing else but produce fiber-cement siding and cement backer boards. HardiePlank, the classic, flagship James Hardie product, is a simple 5/16-inch thick by 12-foot long lap siding, in widths ranging from 5 1/4-inch to 8 1/4-inch. HardiePlank comes in a variety of through-body colors that are already baked in. If you want a different color, you can paint HardiePlank just as you would any other paintable siding product. In fact, all fiber-cement can be painted. James Hardie's siding also comes in the form of long, skinny planks, panels (4-foot by 8-foot), and siding shingles. If you have never heard of Nichiha fiber-cement siding, you are not alone. Founded in the mid-1950s, this diversified Japanese company has been quietly producing fiber-cement siding products for years, mainly for commercial properties. Your nearest restaurant, bank, theater, or grocery store just might be sided with Nichiha fiber-cement board. On the residential side, Nichiha does offer a number of traditional shakes and shingles. But where it really excels is in providing modern-style residences with large format fiber-cement boards and panels. Nichiha products cannot be purchased in retail outlets. Instead, request Nichiha fiber-cement board through your architect or contractor. For Allura, it has been a long road home. Allura began with CertainTeed, the huge building and remodeling products company that has its hand in everything from decking to insulation to windows. CertainTeed is most famous for its massive vinyl siding products division. With its fiber-cement division ailing, CertainTeed decided to get out of the fiber-cement business altogether, and they sold the division to the Mexican consortium, Elementia. Under Elementia and its Plycem brand, Allura has been thriving ever since. Allura continues with fiber-cement products you would expect, such as lap siding, shingles, and vertical siding. It also carries large-format architectural panels that side contemporary buildings. One advantage of choosing Allura products is the wide range of accessory products. 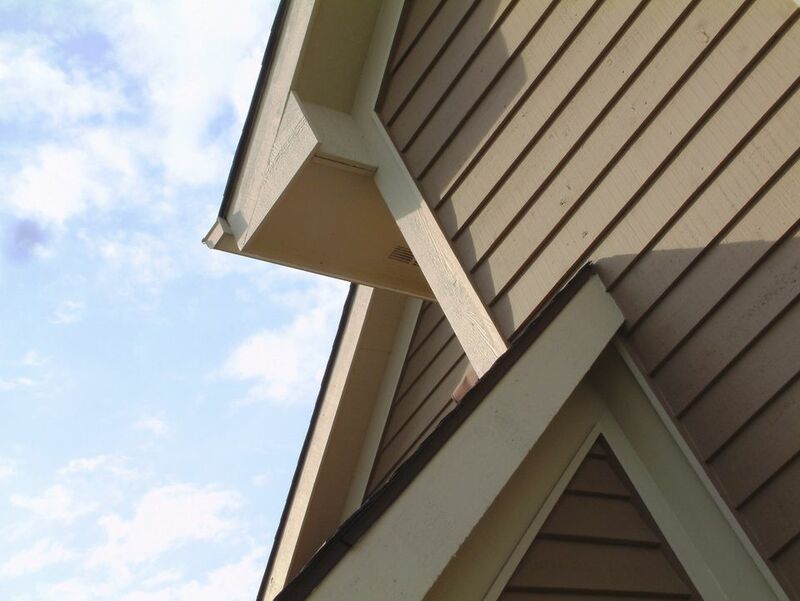 When you choose Allura fiber-cement siding, you will have trim and soffits in over thirty matching colors and stains. Even though fiber-cement siding tends to be dominated by the big dogs, this little dog, based in Chilliwack, BC, has been nipping at their heels. When you want fiber-cement siding that has that in-your-face wood look, Woodtone's RusticSeries just might be the solution. With its ultra-embossed wood grains, RusticSeries' wide palette of eighteen designer colors can be found on lap siding, shakes, large panels, and a host of matching trim products. Woodtone, too, is the only fiber-cement siding company sells natural wood, with its AbsoluteCedar family of posts, panels, and trim. If you are looking for a strong wood appearance in the form of easy maintenance fiber-cement, Woodtone is worth a close look. If you're looking for a handful of fiber-cement shingles to repair your home's siding, American Fiber Cement Corporation (AFCC) is not the answer. But if you want to side a football stadium, dormitory, or university library, AFCC will be happy to do business with you. For color fastness that stubbornly resists fading, AFCC offers a number of through-body color fiber-cement cladding products, as well as painted panels, cladding, and accessories. Canada-based Finex offers large-format fiber-cement panels in 4-foot by 8-foot and 4-foot by 10-foot sizes, as well as panel strips in 1-foot by 8-foot and other sizes. One feature of Finex panels is its easy surface mounting system and touch-sensitive finish with flared screws.